Will My Credit Score Ever Get Better After I File For Bankruptcy? I could just end the conversation there, but you are probably wanting a fuller explanation as to why!! Most people operate under the misperception that filing a St. Louis bankruptcy will ruin their credit rating forever. They believe that they will never be able to purchase a home, a car, or even finance a pair of socks at JCPenney. But as I mentioned, this is a misperception. One of the biggest misperception people have about filing a Missouri bankruptcy is that doing so will completely limit their ability to reestablish a line of credit for seven to ten years. This is completely untrue. This perception is based on numbers that are frequently thrown around at will (normally by people who have no idea what they are talking about). The filing of a bankruptcy (or it might be better to say that the fact that you have filed a bankruptcy) will remain on your credit report for ten (10) years. The automatic assumption is that this fact will prevent them from gaining any ground within that ten year timeframe. But this is simply not the case. For instance, when you receive a discharge after filing a St. Louis Chapter 7 bankruptcy (which usually occurs around three to four months after filing your case), you will be flooded with credit card applications (your mailbox will literally collapse under the weight of all the offerings). And the reason why is simple: overnight, you will have become the most attractive candidate in the world. All of your old debt will have been wiped out (making your credit report clean as a whistle), making it much easier for you to make monthly minimum payments on a new card. Now I’m not suggesting you would go right out and get a bunch of new credit cards after filing for bankruptcy, but the opportunity to reestablish your credit rating in this way is going to be readily available. In addition, purchasing a piece of real estate is most often a viable option within two years after filing. It typically takes this period of time to pass before you start to see more favorable terms on a loan (and/or pre-approval). And buying a car can be done immediately (although the longer you wait, the better the interest rate you will likely get). So as you can see, the gloomy picture that is normally painted for people is simply not the case in reality. But of course you are not going to know the truth about how the bankruptcy rules and laws affect you unless you speak with a trained professional. 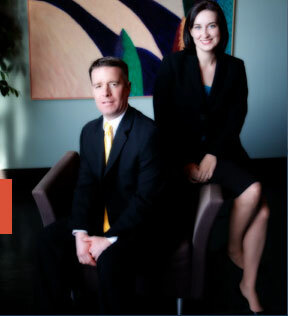 The affordable St. Louis bankruptcy attorneys at Brinkman & Alter, LLC have been helping people get back on their financial feet for over ten (10) years. Our goal is to make sure you receive the fresh start / clean slate that you deserve, and get you moving in the right direction. We have two locations: in the Central West End, at 1 North Taylor, St. Louis, MO 63108; and in the Twin Cities of Festus / Crystal City, at 1000 Truman Blvd (Highway 61/67) 63019. The initial consultation is free of charge. So contact us today to learn more! !